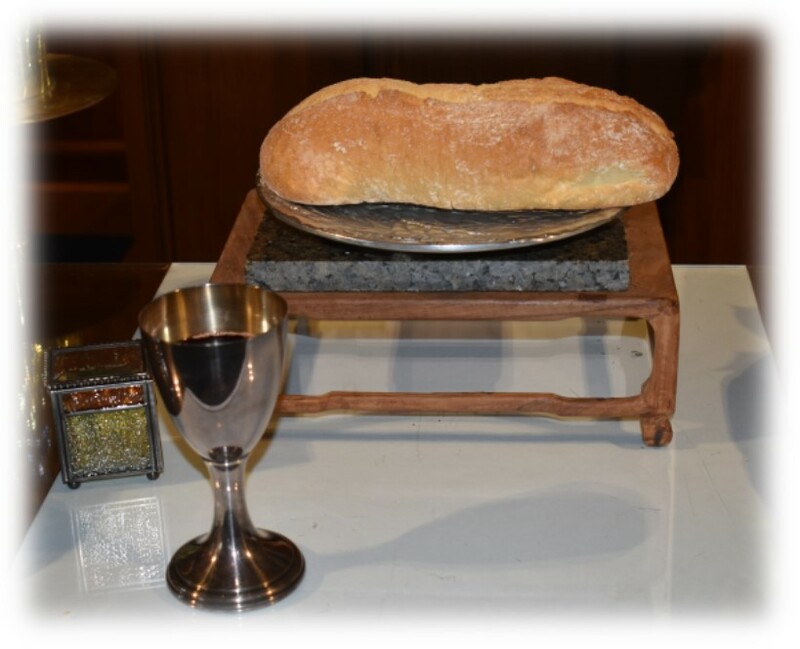 It was so good to worship with you on this Epiphany Sunday and share in the sacrament of Holy Communion! Jim reviewed the announcements, led our liturgy, and read from Hebrews 10:23-25. Jim, Ann, and our wonderful Table of Grace choir performed two extraordinary anthems this morning, “Light of the Stable”, and “Love One Another”. During the Children’s Chat, Donnie role played with the kids to demonstrate the difference between discouraging (rude) and encouraging (genuinely complimentary) talk. He stressed the importance of encouraging one another. Donnie’s message, “Encourage Each Other”, had a double theme. The first part focused on spiritual warfare and putting on the full armor of God. In most wars, two opposing sides are in armed conflict over the same goal or prize. In spiritual warfare, God and Satan complete for our human souls or spirits. Donnie reminded us that 2 Timothy 3:16 assures us that, “All scripture is God-breathed and use for teaching, rebuking, correcting and training in all righteousness.” Donnie said that it is important to try to discern what is spiritual warfare and what is ordinary life circumstances. Not all the bad things in our lives are spiritual warfare. Ephesians 6: 10-18 teaches us to put on the full armor of God to defend ourselves against forces of evil. Donnie will be speaking in depth about the armor of God in the weeks to come. Next week’s message will focus on the “belt of truth.” The second part of Donnie’s message focused on encouraging one another, and he began with the Michael, Jr. video, “Knowing Your Why” (find it on YouTube). It makes the powerful point that what you do has much more impact when you know why you are doing it, because you are moving “in and toward your purpose”. Our purpose as Christians is to help people connect with Christ and the message of salvation. Spiritual warfare defeats us when we become discouraged. Hebrews 10:24 tells us, “And let us consider how we may spur one another on toward love and good deeds, not giving up meeting together, as some are in the habit of doing, but encouraging one another—and all the more as you see the Day approaching.” Our purpose is also to encourage each other in the ministries we undertake and to spend time together. Donnie noted positive changes at Table of Grace as he marks his one year anniversary as our pastor. Among those are Nancy’s leadership and teaching in Celebrate Recovery and the launching and progress of the bedroom makeover ministry. In the weeks and months ahead, Donnie’s schedule will become even more demanding as he adds licensing school studies to his full-time work schedule and pastoral duties at Table of Grace. He said he feels confident in his ability to manage that because of the support and encouragement of the church family at Table of Grace. Following the benediction, Cathy did a presentation on our new church website which can be accessed at www.tableofgrace.net. Prayers for people who are in recovery. Please pray for John and Christine Zimmerman, who will be joining us in April to help us engage in relational ministry with our community. May God’s Spirit lead us as we seek to bring the love of Christ to our community. Praise for answered prayers for surgery successes. Praise for a great organizational meeting on Saturday for the churhes involved in the Upper Room ministry. Praise for Donnie as we celebrate his 1 year anniversary at Table of Grace. Prayers for our sister churches of the co-operative parish. We would be happy to pray for your concerns, please go to the tab marked prayer request and send us the request.